Washington, DC – June 16, 2017: Corporate Council on Africa (CCA) convened more than 800 government and business leaders for its 11th Biennial U.S.-Africa Business Summit hosted in Washington DC from June 13-16, 2017. The 2017 Summit focused on the “U.S. Stake in Africa” and aimed to shape and promote effective U.S.-Africa trade and investment policies under the Trump Administration. Honorable Wilbur Ross, U.S. Secretary of Commerce, President Filipe Nyusi of Mozambique, and Dr. Akinwumi Adesina, President of the African Development Bank (AfDB) were some of the high-level public sector participants who advocated for greater U.S.-Africa trade and investment. CCA hosted a prelude to the 2017 U.S.-Africa Business Summit in Washington, DC on June 13 on Capitol Hill with a Congressional Dialogue on Africa which featured House Foreign Affairs Committee Chairman Ed Royce and Ranking Member of the House Foreign Affairs Subcommittee on Africa Karen Bass. Dr. Jeffrey Sturchio, CCA’s Chairman of the Board and CEO of Rabin Martin, officially opened and welcomed participants to the Summit on June 14. 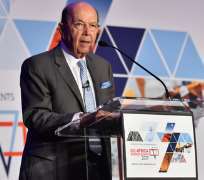 U.S. Secretary of Commerce Wilbur Ross delivered the keynote address encouraging U.S.-Africa bilateral trade agreements. “The critical question that decision makers in Africa, including many of you, must ask is this: As these upward growth trends continue, with what types of partners do you want to collaborate?” said Sec. Ross during his keynote remarks, “I believe that, the more African nations partner with U.S. businesses, the better off both the United States and Africa will be.” Sec. Ross stressed the importance of bilateral trade agreements over larger multilateral agreements and the Trump administration’s stance on compliance with eligibility requirements for agreements such as AGOA. As the leading U.S. business association solely focused on U.S.-Africa trade and investment, the sessions at CCA's biennial signature event - the U.S.-Africa Business Summit - primarily featured private sector solutions and how public sector actors could support business through an enabling environment. More than 140 speakers including leading private sector executives across CCA’s core sectors discussed challenges and opportunities related to the theme of the conference. "The Summit provided one of the first opportunities and an excellent platform for African leaders, U.S. and African CEOs and other stakeholders to engage with the Trump Administration on the important issues impacting the U.S.-Africa economic relationship" said Florie Liser, CCA's President and CEO. Regional integration on the continent was also a strong underlying theme throughout the Summit. ECOWAS President H.E. Marcel de Souza and Liser signed an MoU to facilitate business in the West African region. ECOWAS, which covers 15 countries and includes some 340 million people, is an excellent partner for CCA and its many member companies interested in expanding business ventures in West Africa, said ECOWAS President De Souza. CCA President and CEO Florie Liser noted that "under this MOU, CCA and the ECOWAS Secretariat will be working together to help both U.S. and African companies operating in ECOWAS countries by improving the doing business environment and, among other things, organizing trade and reverse trade missions. The 2017 U.S.-Africa Business Summit was proudly sponsored by leading American and African businesses and organizations including: Chevron Corporation; ExxonMobil Corporation; Zenith Bank; Acrow Bridge; General Electric; AGCO Corporation; AllAfrica Global Media; Petrolin Group; Procter & Gamble; Anadarko Petroleum Corporation; The Boeing Company; Caterpillar, Inc.; DAI; Development Finance International, Inc.; Fairfax Africa Fund; Philip Morris International; Varian Medical Systems; Visa, Inc.; East Africa Trade Hub; South African Airways; Covington and Burling LLP; and Manchester Trade Limited.